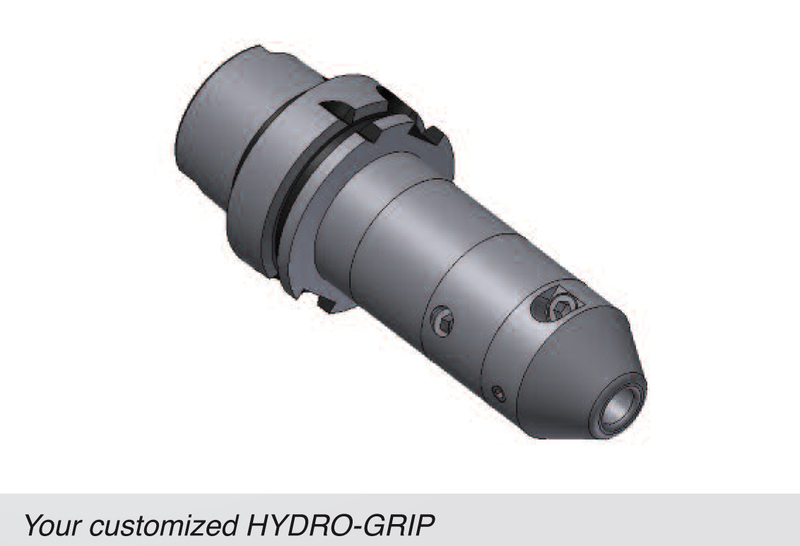 ETP HYDRO-GRIP can be made to your specific gauge line length requirement, using our modular design possibility. Combine any shank available in our assortment, with any tool dimension (12 - 32 mm). 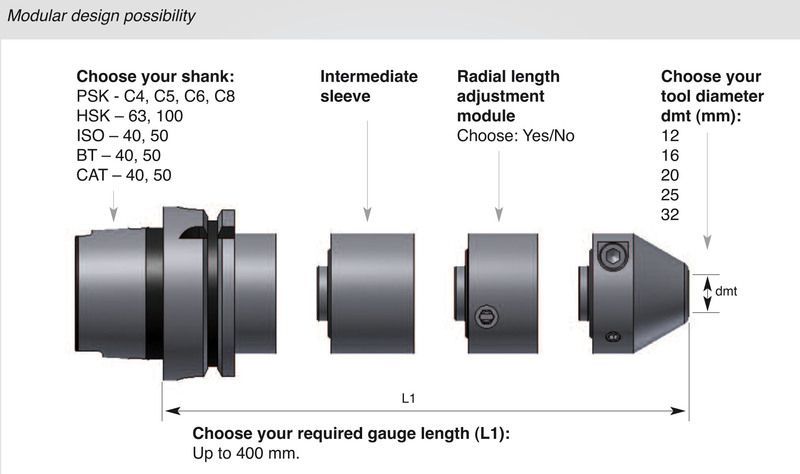 With an intermediate sleeve, ETP offers you your customized tool-holder to any required gauge lenght ( up to 400 mm). These customized toolholders offer the same rigid design, dampening properties and high runout precision as our standard assortment.